Exclusive Getaways offers a great variety of holiday accommodation in the upmarket and luxury class. Our selection includes stylish huts in the wilderness and in nature – providing superb holiday accommodation and echoing South Africa’s interesting traditional architecture. 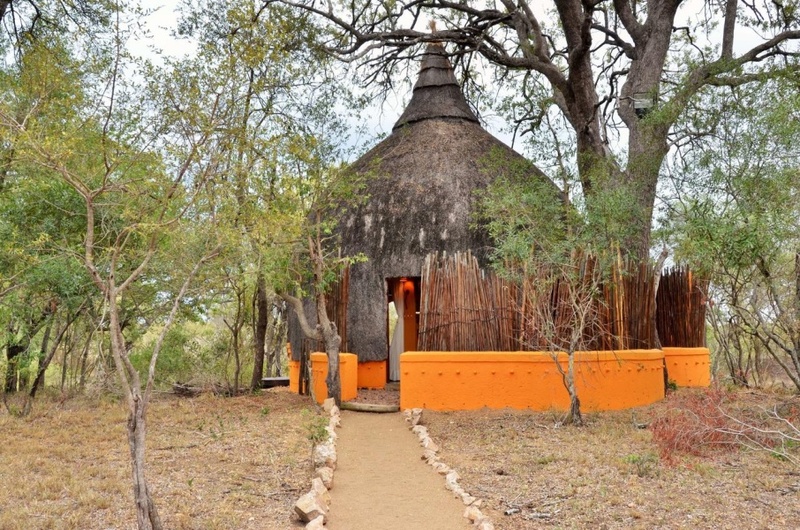 Traditional African-style huts are sometimes called rondavels, pointing to their circular shape. In traditional societies round huts were made from natural materials, and often animal dung was used in the construction of walls and floors. Some of South Africa’s holiday accommodation mimics the circular rondavel of earlier times, simultaneously providing modern finishes for comfort in delightful vacation hideouts. Please note that at some of the lodges featured below, hut-style and rondavel accommodation may be just one of several accommodation types offered. It would therefore be important to specify that hut-style accommodation is required when making an enquiry. 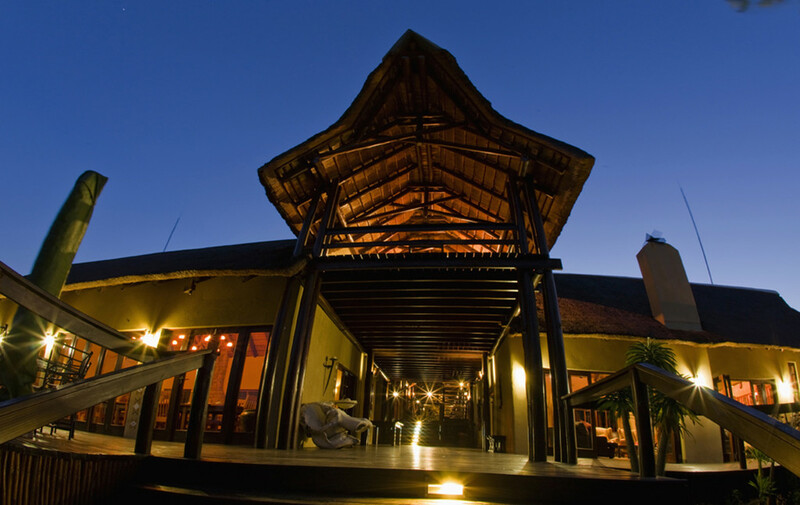 Hoyo Hoyo Safari Lodge is a traditional Tsonga-styled safari lodge in the heart of the Kruger National Park. 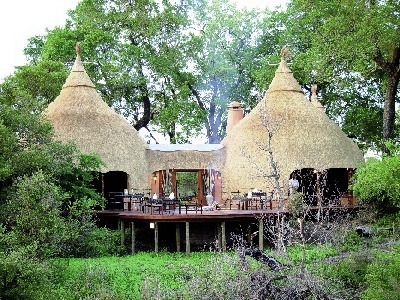 The lodge offers visitors an excellent wildlife safari as well as some interesting cultural experiences. The suites at Hoyo Hoyo are traditionally styled huts, each with a viewing deck that looks out onto the wilderness. Activities at the lodge provide guests with insights into the customs of the Tsonga people. Mail us. Elephant Plains Game Lodge provides safari accommodation in the Sabi Sand Game Reserve in Mpumalanga, in the form of suites and rondavels. The rondavels have thatched roofs, sundecks, en-suite-bathrooms, air-conditioning, fans, mosquito nets and in-room beverage stations. They are the more affordable accommodation option at the lodge. Mail us. Isibindi Zulu Lodge is situated in an eco reserve in the Rorke’s Drift area of KwaZulu-Natal. There are six suites built in a traditional style, in the shape of a beehive. All have bathrooms en-suite and provide wonderful sanctuaries in a vast wilderness. The lodge offers nature drives (there are wild animals in the reserve, but no dangerous predators), local cultural experiences and tours of nearby Anglo-Zulu battle sites. Mail us. 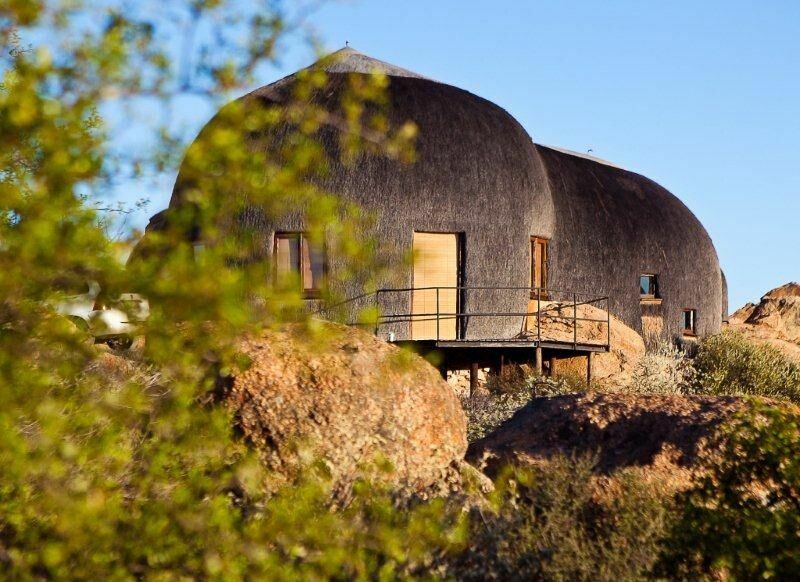 At Naries Namakwa Retreat in the Springbok area of the Northern Cape, the Mountain Suites take the traditional form of reed huts. All are en-suite, well equipped for comfort and convenience, and surrounded by nature. Mail us. 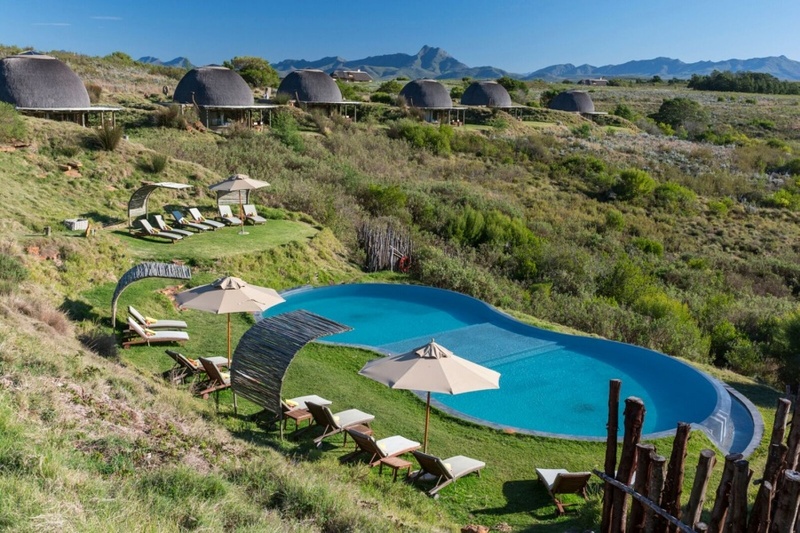 Situated near Mossel Bay on the Garden Route, Gondwana Game Reserve offers a variety of safari accommodation, including 14 open-plan suites at Kwena Lodge. These suites are a modern version of traditional Khoi-San circular dwellings. The suites are luxurious and spacious, with fabulous all-round views of the wilderness. The sleeping area in each suite is underneath a central skylight. Mail us. Mail us to book your holiday accommodation in South Africa, or book online, or call us on 0860 102 907 (local) or +27 21 797-7122 (international).